Exfoliating. Why it is so important? Exfoliating. What’s all the fuss about and why it is important? Have you ever looked in the mirror and wondered why your skin looks dull? To help improve the appearance most of us just apply make-up, hoping it will help the skin and hide blemishes. But is this the real answer? I see many women with dull skin and plenty of make-up giving the illusion of healthy skin. When my clients include an exfoliating routine as part of their skincare, the transformation is clear to see. Thorough skin exfoliation is paramount to healthy skin. It removes the dry and dead skin cells off surface allowing the skin to breath and regenerate. Lots of people do not value of the importance of skin exfoliation, however it’s just as important as cleansing and moisturising. Exfoliating is so important to your skin’s wellbeing. Without proper exfoliation all other steps in your everyday skincare routine will not be as effective. When the pores are blocked, all of the other skincare products that you use won’t be able to penetrate in to the deeper layers of your skin. By removing dirt, exfoliating is an essential way to manage breakouts. 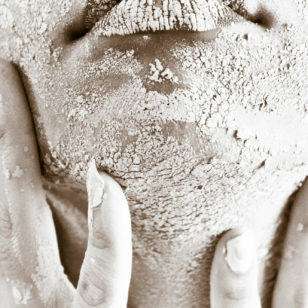 A deep exfoliation will help to unclog your pores from excess oil which can lead to breakouts. Acne is not only caused by external factors such as make-up and dirt, but by a number of internal factors t00. For example hormonal imbalances from stress or a bad diet can lead to an increase of acne breakouts. Dead skin cells will sit on the surface leaving a layered effect. Skin exfoliation is considered one of the most important parts of our daily routine, to achieve that healthy and glowing skin all year round. Hyper pigmentation is also a huge concern for many women. This can occur due to a hormonal change or can be genetic. Hormonal exfoliation is great for helping break down the pigmented cells to allow them to fade slowly. Using an exfoliating cream which is combined with skin lightening agents such as Vitamin C will help the skin from fading. It is important for your skin to exfoliate if you want to create a smoother appearance. Argan Liquid Gold’s gentle exfoliating cleansing cream is smooth and gentle on the skin. It contains alpha hydroxyl acid which is perfect to help peel away dead skin cells. It also increases blood circulation and cleanses the pores. This helps the skin to detoxify, leaving it feeling fresh and rejuvenated. The exfoliating agents will lock in the moisturising oils. This ensures the skin doesn’t dry out. You are then left with incredible soft and flawless skin. For further information on how to exfoliate properly visit Exfoliation Tips.